Supermodel Lily Aldridge and rockstar Caleb Followill created their dream home in Nashville to settle down in Followill’s home state of Tennessee. When designing the home, Aldridge told the designers that her vision was a mixture of the English countryside and Moroccan influences. The result is a cozy, unique home that they share with their young daughter. This home is a great example of creating a space that is uniquely yours. English and Moroccan design may sound very different from each other, but it’s that contrast that made such an inspiring space. Every room in the home has its own personality yet they flow together beautifully. It’s one of those homes that you can imagine feeling comfortable in as soon as you step through the front door. 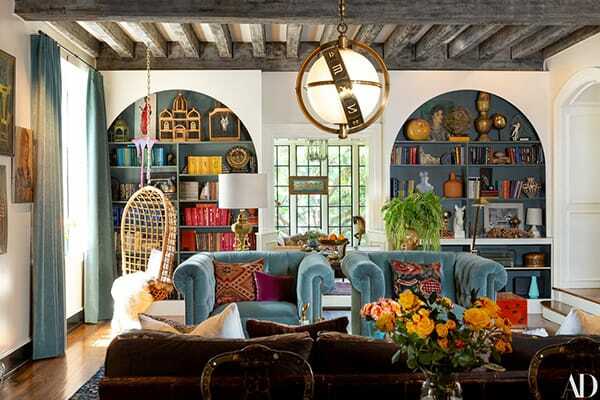 Here is an inspiring tour of the home courtesy of Architectural Digest. Beautiful windows, a long banquette, and multiple area rugs bring a ton of charm to the breakfast nook. Her daughter’s bedroom looks like a princess’s retreat in an English castle. Her daughter’s playroom even has the perfect spot for tea by the stunning windows. The focal point of the bathroom is this wonderfully charming freestanding tub surrounded by beadboard and antiques. 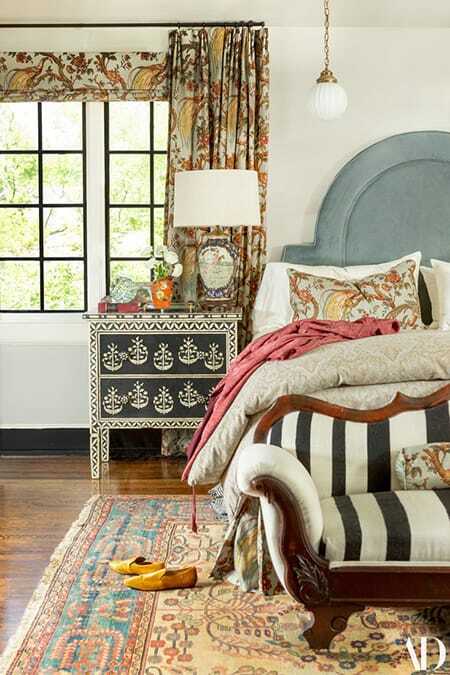 The master bedroom is a cozy collection of color and pattern that is unique yet all harmonizes beautifully. Lily’s vanity is feminine yet casual with the comfort of soft textiles and plenty of flowers. 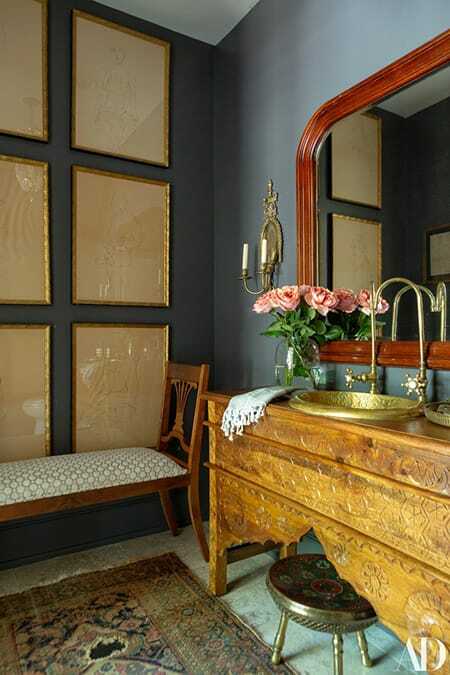 Love the eclectic mix of worldly accents in this bathroom, especially that incredible vanity. The TV room is an elegant space with a bohemian twist that makes it unique to the home. Pops of blue and orange bring a delightful energy to this living area and the built-in bookcases. 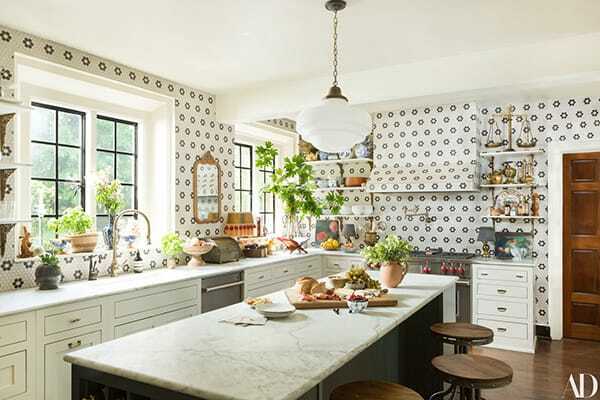 Tile in a whimsical pattern gives the kitchen a vintage, cottage flair. What a unique, inspiring place to call home.